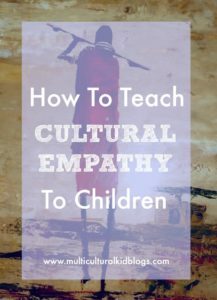 In this post, we find out how to teach cultural empathy to children from a multicultural, global family. In the last decade, my husband and I have been living as global nomads, having expatriated in 6 countries so far. We consider ourselves global citizens, thus raising our four children as mini global citizens too. Born in different countries, our children’s sense of home is associated with feeling at home rather than being in a physical home. We have a saying that home is where the green couch is, where our beloved family sofa finds a spot indoors in any home, in any country. It is therefore essential that our interconnections with our local hosts positively facilitate this sense of feeling at home through the way that we understand and accept cultures and social norms that are not yet our way of life. We can all agree that little kids are sponges of knowledge, most of which is acquired through non-verbal cues. Like mini adults involved in role play, they act out mostly what the adults around them have presented as reality. For instance, shouting parents beget shouting siblings; mindful parents beget Zen siblings. There are other factors of course, that contribute to children’s behavioral challenges. But many discussions I have had with school counselors in the various international schools around the world that have educated our children, have unanimously revealed that the No. 1 factor for children’s outward expression is largely influenced by their inner circle. This circle begins at home, with mom and dad. Raising the next generation of global citizens will, therefore, require that the family evaluates its own understanding of the other by honestly tabling, then reviewing the information, stereotypes, and misconceptions that lead to either false or accurate assumptions about others. When our short stint in Ethiopia came to an end, we left with one valuable piece of advice in the form of a traditional proverb. It goes like this, Work the clay while it is still wet. An analogy that likens little children to unmolded clay which, if left to dry without the desired shape, will harden into something grotesque that cannot be beautified. This points to the importance of instilling values in young ones before they grow up or harden and can no longer easily absorb new knowledge. One way of doing this is by defining your core values and constantly reevaluating your secondary ones. Primary values reflect your beliefs about fundamental issues such as spirituality while secondary ones address lighter issues such as how much access to technological gadgets your child is allowed. For instance, our family values freedom of individual choice as a fundamental right and discuss this as the ability to make an independent, well-informed decision. Using technology for research and occasional educational games is allowed and encouraged. Playing video games or exposing our 3-year-old to games and apps marketed for children his age is not acceptable to us. It is upon our older children to self-regulate when they go to playdates in homes where video games are allowed. Similarly, it is up to you to preserve your values against opposing cultural values without imposing them on your new friends. You don’t have to be a traveling family to get a first-hand lesson on cultural intelligence. Fortunately, social media has made that easier these days. However, an even better option is to learn about others through their own eyes. For instance, if teaching your children about a particular African culture, make a visit to an art exhibition that is showcasing African art. A quick internet search will reveal locations that might be near you. Alternatively, call or email a professor at your local university in the African studies or anthropological department and request a quick phone interview about particular information you want about your country of interest. While we may have rapidly evolved into hyper consumers of internet search engines, a face-to-face interaction is still a welcome engagement and most people will want to share their knowledge. It will provide you with accurate information directly from the source, thus saving precious time wasted analyzing the results generated by computed algorithms. The chance to speak to experts knowledgeable on the subject of your interest is a great lesson to your children, which will enable them to begin cultivating great interpersonal skills. Many of us from our often-misunderstood continent seethe when global media houses and the tourism market clump us into one big identifiable ‘country’. Africa is not a country. Indeed, Africa is made up of more than 50 countries within which micro-cultures and thousands of ethnicities flourish. Ensure that you dignify the values, norms, and artefacts of another culture by researching what is appropriate to them and what is not. 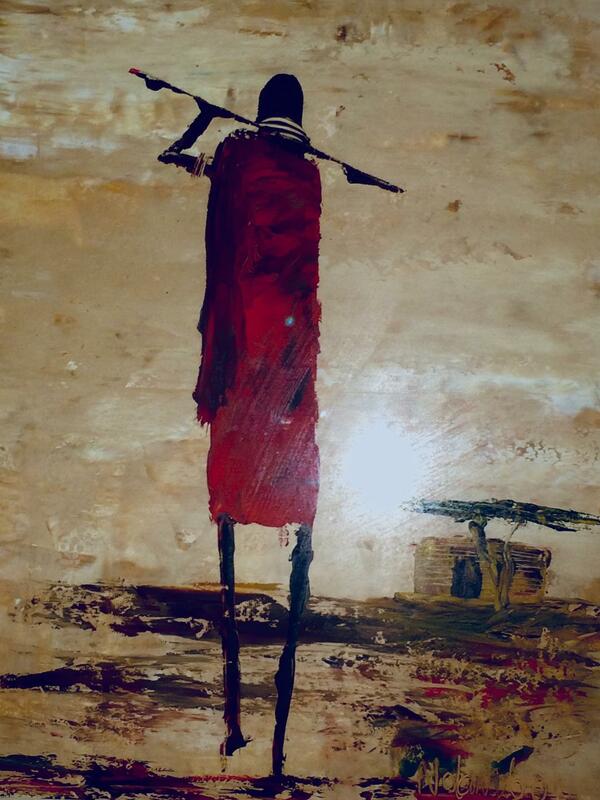 For instance, in my home country Kenya, the Maasai culture is synonymous with what is marketed to tourists as an authentic Kenyan warrior tribe. The internet is flooded with images of the mighty Maasai warrior adorned in his impressive beaded necklaces, headpieces and other forms of jewelry. But it is important to understand that most Kenyans do not identify as Maasai, a small nomadic indigenous tribe that was wrongfully banished to remote drylands, much like the Native Americans were long banished into conservations far out in the Wild West of America. Therefore take great care when making sweeping statements about the warriors of Africa. 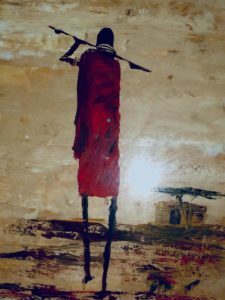 There is little chance that you will encounter a spear-toting, brightly bejeweled and spectacularly face-painted warrior sauntering majestically, barefoot on the streets of Nairobi in his one-piece tartan garb. Therefore make an effort to learn about other tribes that make Africa the most ethnically diverse continent on the planet. You will find plenty of information on the internet with opportunities to join online discussion groups that address issues such as cultural appropriation or indigenous knowledge systems. UNESCO, the UN agency for culture is a great resource for finding free educational toolkits that teach about other cultures, compiled by experts in the field. Your intercultural communication with the world is largely informed by your own preconceived beliefs about others. It can either be enhanced in some places or challenged in others. What you say and how you treat others different from yourself has a direct impact on how your own children interact with those that they will meet along their quest towards true global citizenship. Our current political leadership has challenged our collective ability to engage and interact with each other positively or embrace diversity as a unifying factor. We are all victims of the divisive effects of our leaders’ ability to promote one race and demote to the bottom, a whole other race, culture and social norms. Our children need a clear understanding that to be a true global citizen means to connect on a cellular level, with another human being. What makes us a unique species above all others is our ability to empathize with each other. Connect as human first and foremost. Find the commonality between your beliefs and someone else’s. Read folktales from other countries and see the resonating themes between those stories and the stories that you grew up with as a child. Human dignity is restored when you discover that other cultures you intersect with are here because they survived against many odds, much like your own culture did. 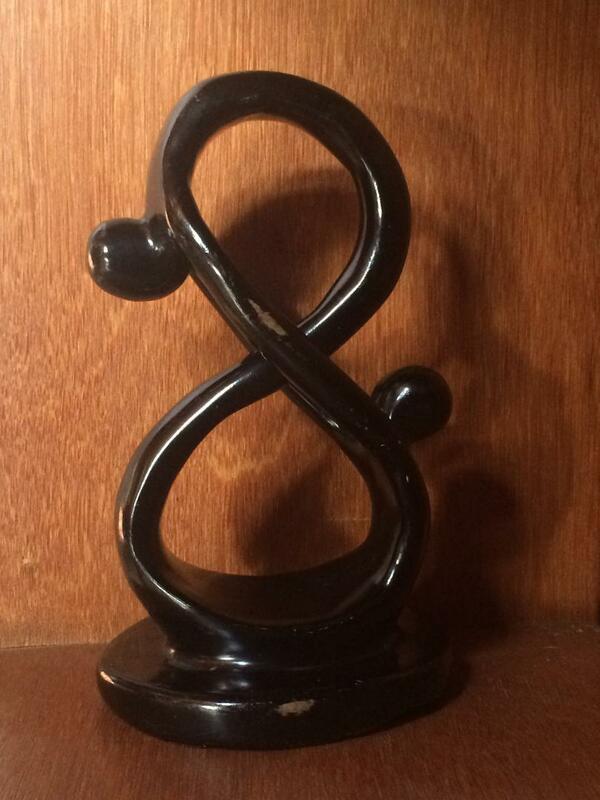 You begin to see survival instinct as our shared DNA and resilience as our collective driving force. On the first day of school, many of our newsfeeds are often flooded with tips on how to effectively send our children off to ensure they make a positive impact. The top one on the list is always to ‘Make friends with a new kid that’s different from you’. Yet as adults, we tend to socialize with the same people who look like us, speak like us, eat like we do and aspire to the same things that we do. As you endeavor to learn more about another culture, take it a step further and make a friend from that foreign place. Make a pen pal online if you cannot connect physically. Look around your neighborhood, scroll through your Facebook friends’ list and find someone from that other culture that can become a new friend to your child. Because of our transient lifestyle, my husband and I have taught our children to maintain connections with their friends, even though we cannot guarantee that they will ever see each other again. It helps ease the tearful goodbyes, but also, it allows our children to remember that the world is much, much bigger than the small local bubble in which we raise them, something that we find especially helpful whenever a friendship doesn’t work out at a new school. They send emails and postcard to their friends, detailing their new experiences and wait eagerly to hear what their friends in other countries are doing. That in itself is a great introduction to cultural intelligence and it gives the children more solid ground upon which to defend stereotypes and discriminations directed towards people in countries where they have friends. The most recent profanity that the US president used to describe certain African countries left many of us from the continent feeling dejected and reflexively infuriated. It was also a slap in the face of many school educators around the world that are aggressively working towards enlisting global citizenship education as a core part of their national curriculum, including educators in the US. Once the outrage settles, it will be important to realize the urgency of this movement towards gaining an accurate understanding of who we are as a human race, what we value and what it means to become a global citizen. It will involve a sincere self-reflection of what values we embody and how we present them to those that we intersect with globally. As the world continues to get smaller virtually, populations continue to increase alarmingly. We may very well begin designing the blueprints for a new passport for the brand new emerging global citizen. Great article and very helpful insight! Keep the blogs coming! I have come to realize the magnitude of the task we have to raise children who not only push back against stereotypes on Africa but to also educate those they interact with and demand to be appreciated as individuals. Beautiful article! I love the emphasis on interpersonal relationships and making real heart-to-heart connections. Also, as a homeschooler I appreciate the advice not to rely too much on internet searches for research but instead reach out to actual people – as you say, straight to the source, and I’m sure what they’ll learn will stay with your kids for much longer than just reading an article online! Always look forward to reading your insightful essays on parenting. Especially appreciate in this post the suggestion to make human connections and seek people as sources. Wow! What an inspiration! How I wish we all used that same lenses you wear each day Wakanyi. The world would definitely be a better place. As a parent raising kids in another country this is a very insightful article. Teaching kids to shed stereotypes, appreciate diversity and find unifying values is vital. And indeed it starts with the parents! These little sponges deserve all the light and optimism in humanity! To be get a future that is thoughtful of others.